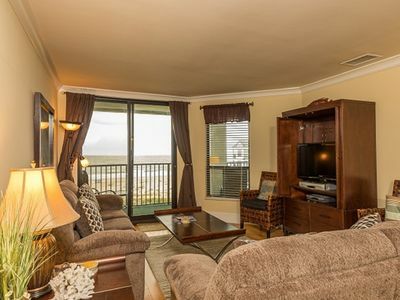 319 Seascape / 2BR Oceanfront Condo w/ Wild Dunes Amenities! 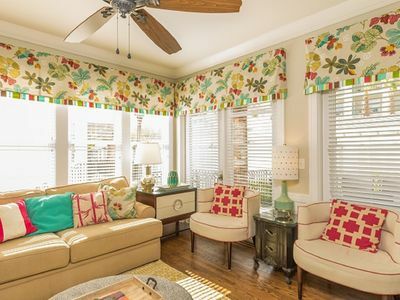 Welcome to Seascape 319 at Wild Dunes Resort, where brilliant views and professionally designed interiors set the perfect tone for your South Carolina vacation. 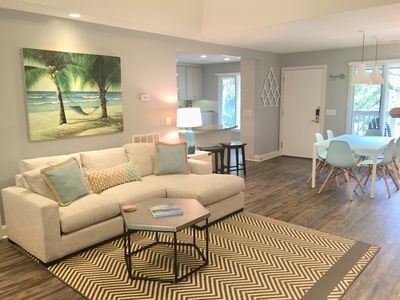 Located near the Links Golf Course and a mile north of the Grand Pavilion, this two bedroom, two bath beachfront condominium offers convenient access to many of the resort’s popular amenities. 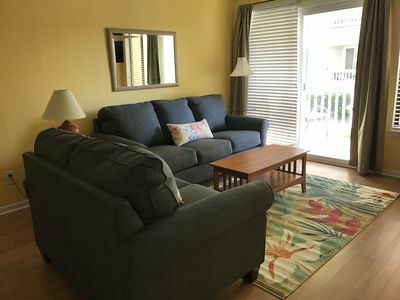 Upgraded features include granite kitchen countertops, recently renovated baths, tile flooring, and a furnished balcony offering exquisite Atlantic scenery. 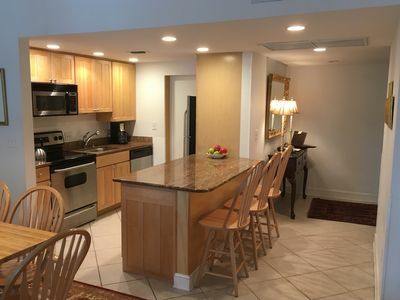 A full kitchen provides all essential appliances and bar seating for four, in addition to a separate dining area with table and chairs for six. 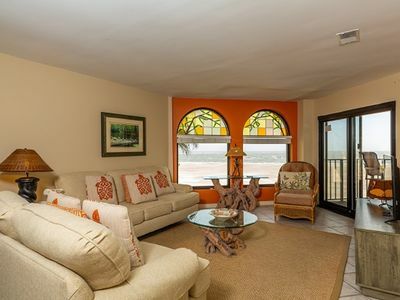 Beautiful arched windows and coastal-themed decor highlight the living room where guests can access the balcony. 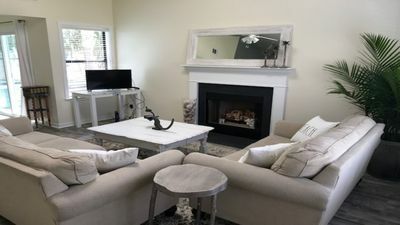 Two bedrooms, a master with a king bed and a second bedroom with two twin beds, and a sofa bed lend sleeping accommodations for up to six guests. A walk-in closet, walk-in shower, and adjoining balcony are among the underlining elements of the master bedroom. 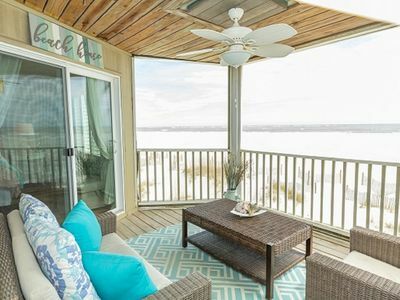 We invite you to rest your head and bury your toes in the sand at this stylish island rental. 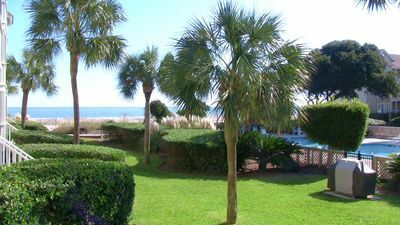 -Complimentary access to the Swim Center, and Grand Pavilion Pools. -Complimentary access to two fitness centers. -Preferred seasonal pricing on The Links Course and The Harbor Course for resort guests. 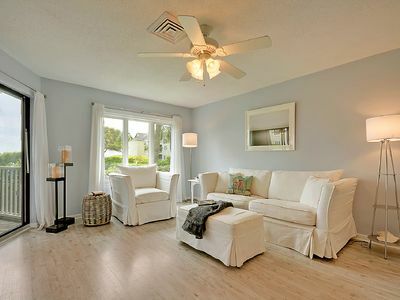 -One hour of complimentary tennis court time per bedroom, per day after noon. $15 per hour per court before noon. 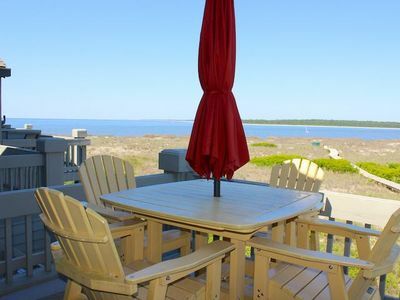 -Preferred pricing on bicycle rentals, beach chair rentals and special events. 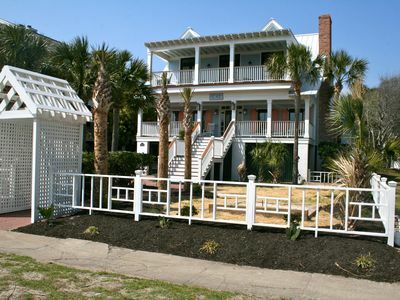 -Access to the Island Adventures recreational program that offers fun activities and excursions for kids and adults. Credit authorization required at check in for $90 per day due to ability to charge anything on the resort back to your room. This authorization will be reversed at check out for any funds not used during your stay. Most banks take 5-7 business days to actually credit your card back the funds if using a debit card. 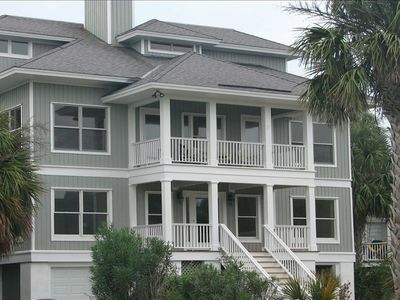 Beautiful Premier Villa in Beachfront Building! Great Rates! Screen Porch! Pool Just Steps Away! Luxury 3 BR/3 BA Pelican Watch! 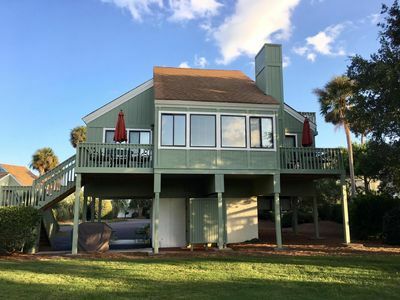 Spectacular Water Views! 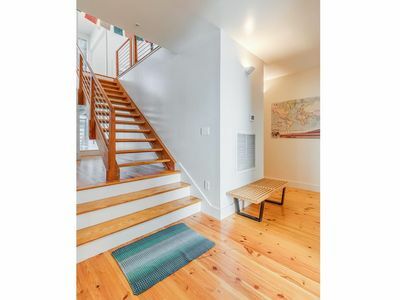 2nd Floor! Amazing! 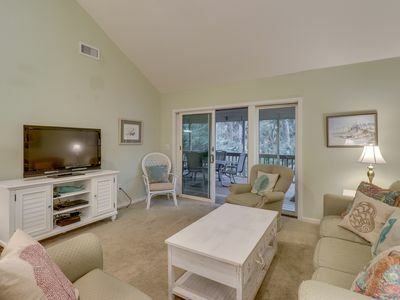 1st Floor Wild Dunes Condo. Great Amenities! 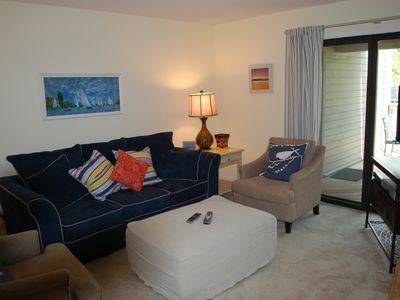 Updated 2 bedroom/ 2 bathroom villa with a sunroom and a fairway view. Remodeled Kitchen! Neighborhood Pool! Marsh View! Amenity Cards! 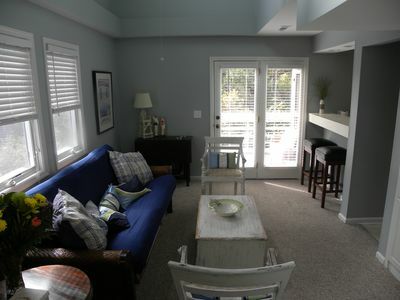 Port O' Call F203/Isle of Palms 1BR Oceanfront Condo w/ Amenities! 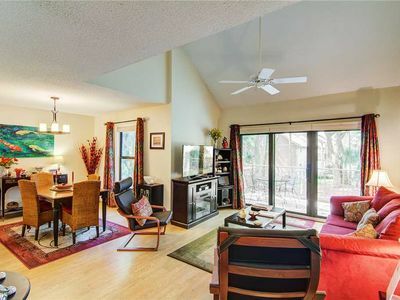 Charming home w/ fairway views & Beach Club card, shared pool - dogs welcome! 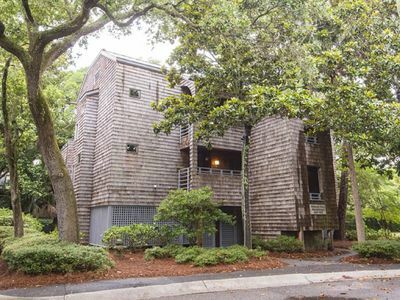 Modern Retreat on Dewees Island! 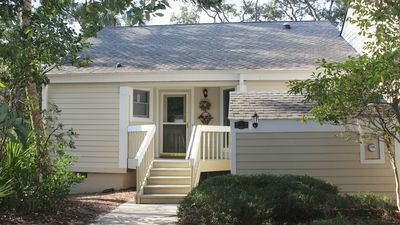 Summer House 509/ 2 BR Ocean View Condo w/ Wild Dunes Amenities!